No! This is not me. My husband has been complaining about my saggy jeans for about three weeks now. 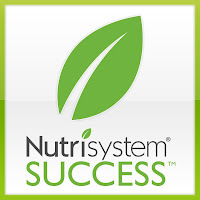 To be totally honest, I was hoping to put off buying any new clothes until I reached my Nutrisystem weight loss goal! Well... that plan failed. I caved and went shopping for one new pair of jeans. After all, even a belt wasn't keeping my pants up! I'm thrilled to share that this was the first time EVER that I've gone shopping for new pants and haven't left frustrated, disgusted and on the verge of tears! That brings my total weight loss to 37.8 pounds! 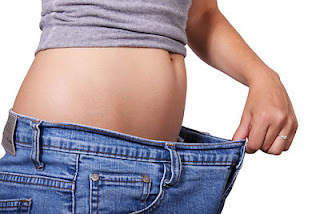 When I started my weight loss journey, I was wearing a size XL shirt and women's size 16 jeans. Today, I'm wearing a size M shirt and juniors size 10 jeans! I can't believe the difference --- I'm at the point that I no longer dread buying new clothes. Even though I'm not at my goal weight, I'm loving the results! You have done such an amazing job losing weight, and losing it the healthy way!! Congratulations!!! That is so exciting. It's been so inspiring following your journey. Keep it up! I'm a NS blogger too and have lost 28 pounds and went from a size 18 to a 10 and 2X shirts to Med...and I'm still losing. Isn't it amazing?!? That is WONDERFUL!! I am so impressed! I want to join this program so badly, I think I am going to ask for it for Christmas! It is so encouraging to see a program that truly works! Keep up the amazing work! Thank you all SO much for your support and words of encouragement! It means the world to me! That's so awesome! I'm happy for you. I really need to look into this. You are still rocking it! Great job! Congratulations! You are doing amazing!! Your doing great! Good luck on your future weight loss also!